Pike-perch prefer cloudy and deep waters, and they are not comfortable in small lakes. The oxygen need of pike-perch is fairly large and they prefer warm water; for that reason they are not found in Northern Finland. As fry, pike-perch feed on plankton; as adults they are predators. Pike-perch begin a fish diet when they have attained a length of 5-15 cm. The spawning season is May-June. Fishing rod equipment, primarily wobblers, lures and jigs, are generally used to catch pike-perch. The greatest chance to catch a pike-perch on a rod is during June-July. Most pike-perch caught weigh 1-2 kg. The largest pike-perch caught in Finnish waters is 13.7 kg. The salmon is a migratory fish which needs clean, cool water. Spawning time is in the autumn during October-November and the spawning grounds are situated in flowing water currents and in vegetation areas in the sea. Land-locked salmon spawning grounds are found in lakes, the only original example in Finland being the water system at Vuoksi. Young salmon feed on insects and aquatic macroinvertebrates; when older they also consume fish, aquatic insects and small crustaceans. 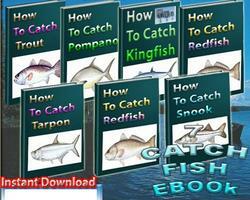 Lures, wobblers and flies are generally used to catch Salmon. The greatest chance to catch a salmon on a rod in rivers is 15 June - 30 October. The best time for salmon trolling at sea is June-July and on lake early spring and late autumn. 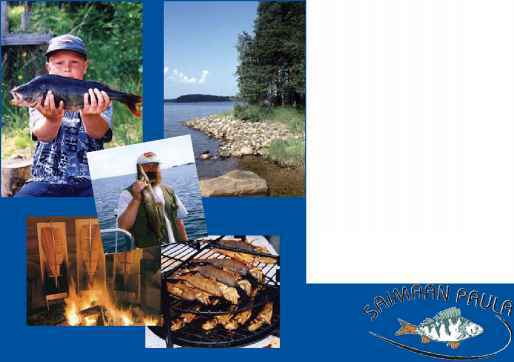 : Please find additional information in fishing areas section. Most salmon caught weigh 4-20 kg, but over 20 kg can be found. The largest salmon caught in Finnish waters is 27.4 kg. What is the biggest pike caught in finland? How to catch pike perch?